Crystal healing is an ancient form of healing therapy that uses crystals and gemstones to restore balance to the body’s energy systems. Every crystal has a unique energetic signature that can be harnessed to improve our spiritual, mental and physical well-being and can be used in many different ways, such as placing on the body, as an essence or placed in a room to enhance the general atmosphere of the environment. 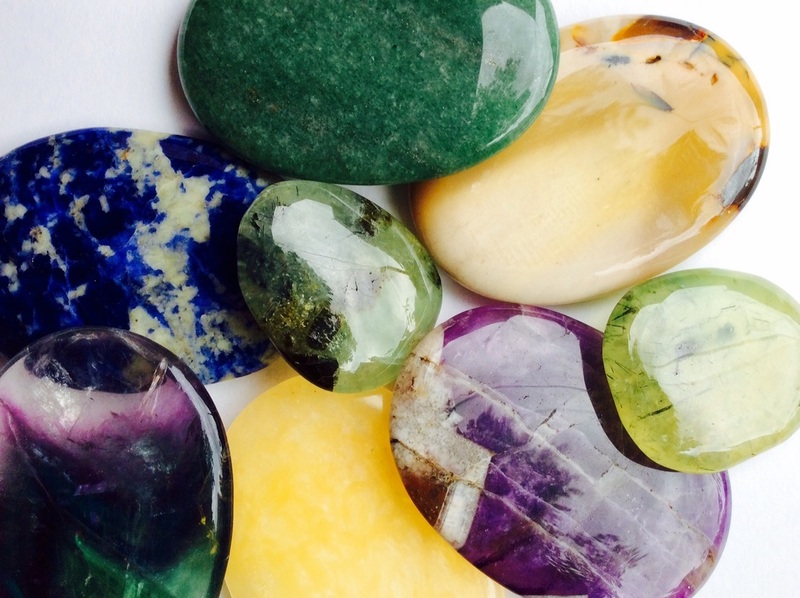 A full crystal treatment may incorporate a number of techniques, including chakra balancing based on colour correspondence, personalised crystal layouts on the body based on specific needs, gridding and stagnant energy clearing. A crystal healing treatment usually lasts one hour, but it can be flexible based on your needs and requirements. The first appointment runs for 75-90 minutes, during which I will make sure that you feel safe and comfortable with the idea of discussing your specific needs and setting a vision for what wants healing; from exploring difficult issues that have kept you from manifesting your true Self, to allowing yourself to take control of how you feel. I will also take your medical history to inform the sessions of any areas that need particular attention on a physical, emotional or cognitive level. Ottavia is a very intuitive, wise and generous soul. She does this work with her heart firmly in the right place and this is illustrated through the integrity in how she works. Having almost no experience of Reiki or Crystal work before coming to see Ottavia, I was impressed by how through the work, we were able to reach a deep emotional level, not always accessible through using words alone. Thank you ! A deeply relaxing form of massage during which the practitioner intuitively uses crystals to gently stroke the client's body to relieve tension and stress. As the energy of the crystal helps to shift energy blockages deep in the tissues of the body, the massage is performed with the client fully clothed and using light massage strokes. A variety of crystal tools designed for the purpose can be used: wands, palm stones, lenses, pebbles and points. A full treatment usually lasts 45 minutes. I also incorporate some Reiki channeling to deepen relaxation. On request I also perform a crystal back massage using St. John's-wort oil and a blend of essential oils specifically tailored to the needs of each person. At a time in my life, when I was suddenly overwhelmed by something that had happened in my past, I went to see Ottavia... It was the best thing I ever did for my mental and surprisingly physical well being. Ottavia is calming and very easy to talk to. She listens to every word you say and has a beautiful calming voice. The mind exercises she gave me to do had a very positive effect on me. I was finally able to put what happened in my past, firmly IN the past. Ottavia helped me to move on in my life and taught me how to nurture my relationship with loved ones. I have been surprised by how much of a change in myself my visits to Ottavia have made to my wellbeing.